Virtual Assistant - Are You Ready Or Just Faking It? Virtual Assistant? You’re Just Not Ready. Virtual Assistant. It seems like everyone wants to be one because it makes their biz life super easy. I went into a little bit of a rant when it comes to determining if you’re a good fit to become a virtual assistant. Try to really hear the advice even if you have a difference stance on the subject. It’s not just a list of things that you need to get started. I’m also explaining the difference between being a VA and freelance work. This can be an easy business to start, but you might not be cut out for it. And that’s OK. I’m all for cheer leading, but I’m not going to do it for the sake of doing it. 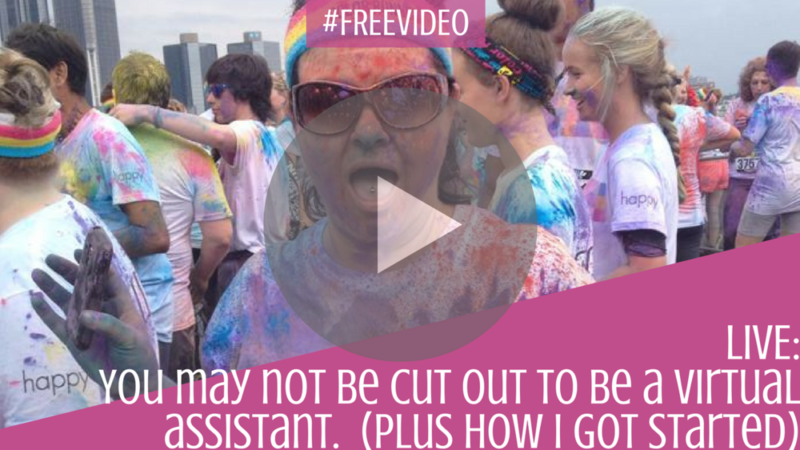 You’ll want to watch this video if you’ve tossed around the idea of becoming a VA. I touch on my thoughts, tips and advice on the 3 things you’re going to need: a website, services and clients. If you want to watch the video on Facebook, or check out the rest of the December Live Streams I’ve been doing, head over here. I’ve talked about time management, target marketing, lead magnets, finding ideas to write about .. all questions you guys have been asking.